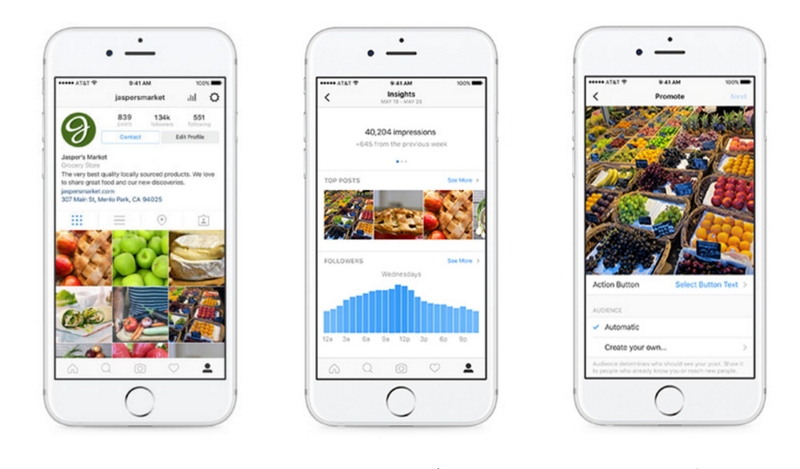 Local businesses rejoice, you can now access Instagram’s Business Tools! The analytics tools provides business and entrepreneurs to track impressions, total reach, clicks to the link in their bio, and even percentage followers based on gender. Instagram’s Business Tools like Facebook also has a business page. It will have features including a contact button for customers to get in touch through email, access to a map and directions of the business they wish to visit and categories for easier identification of the business. Other features like the hours and days show businesses the amount of time followers spend on Instagram, top posts, that shows which posts are favoured and which aren’t. The gender and age tool shows which demographic group is interested in the business and the number of new followers gained weekly. Do note that Instagram will be rolling out the features in batches, so you might need to hold on for a bit if you’ve not gotten the update yet. To access the tool, you must first go into settings that can be done by clicking the gear on the top right corner of your profile page. In settings, under Accounts, there will be a “switch to business profile” tab. When clicked on it, users will be asked to link their Facebook’s business page to their Instagram account. Do note that a business page on Facebook is needed, though. Once the account is set up, users are able to go back to their profile and see the icon for Insights on the top right corner. They will then have access to main screen filled with the analytics tools such as impressions, reach, and website clicks. Under See More, users can find out the types of photos people ‘Like’, and also get an insight on their follower base and reach. In Fstoppers, the author advises that they have to add in either their phone number, email address or location due to the contact button on the profile page so that interested customers can reach them easily. Just like “Boost” on Facebook, businesses can also conveniently turn well-performing posts into advertisements for any desired period of time with the Promote option. Target audiences can be manually selected, but for those who aren’t sure, Instagram also provides target suggestions. With the launch of the Instagram Business Tools, business, big or small, are now able to delve further into their customer base and find out what clicks and what slips. They are also able to ensure maximum follower reach by catering perfectly to their targets. New products or promotions can be carefully crafted and released by noticing consumer behaviour which will clinch future sales. Consumers are also able to contact businesses easily if they feel like providing feedback or other useful information about their products or services. Furthermore, with the addition of Instagram Stories, businesses also have an opportunity to create special 24-hour promotions and campaigns. This is definitely a new way for businesses to spread awareness about their brand and collect consumer behaviour data, and we can’t wait to see how businesses on Instagram will blossom because of these changes.